Michael Barbour is Director of Doctoral Studies for the Isabelle Farrington College of Education and an Assistant Professor of Educational Leadership at Sacred Heart University in Fairfield, Connecticut. He completed his PhD in instructional technology from the University of Georgia. Originally from the Canadian province of Newfoundland and Labrador, Dr. Barbour’s interest in K–12 distance education began after accepting his first high school teaching position in a rural high school, he was troubled by the inequity of opportunity and began a program to offer online Advanced Placement social studies courses to students in his district. For more than a decade, Michael has worked with numerous K–12 online learning programs in Canada, the United States, New Zealand, and around the world as an online teacher, course developer, administrator, evaluator, and researcher. 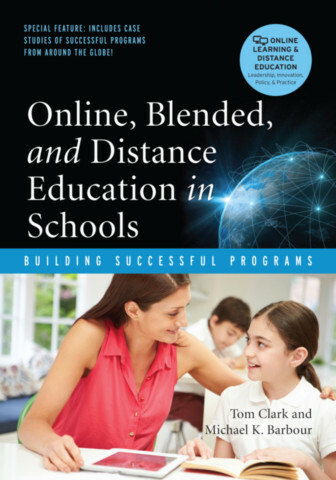 His current research interests focus on the effective design and delivery of online learning to K–12 students in virtual school environments, particularly those in rural areas.